Twenty-five years ago, the military embedded computing community was in the midst of a revolution. System integrators were moving from custom electronic assemblies to systems composed of off-the-shelf electronic boards built with commercial components, based on industry standards and connected by industry standard backplanes. That paradigm quickly took over the industry and it continues today. However, the industry is now seeing a more subtle shift. 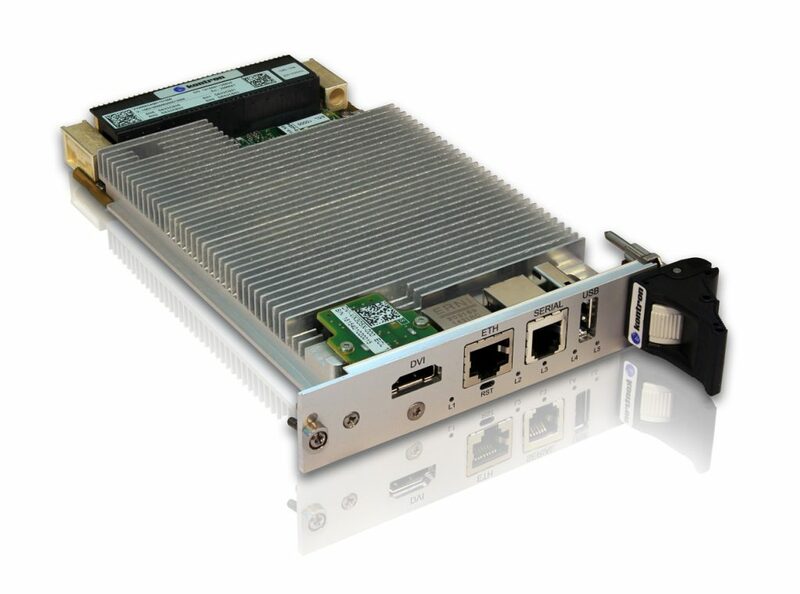 The explosive growth of computing power and the introduction of various industry-standard peripheral and I/O interfaces have created an environment where problems that once needed multiple blade SBCs to solve can be addressed with a single, tightly-integrated computing platform. This has given rise to box-level integrated systems. However, rather than revolutionizing the industry by overthrowing the dominant paradigm of board-level integrated systems, box-level system integration is emerging as a new tool in the system integrator’s toolbox. The problem now is, how does one choose between a board-level or box-level approach? Defense embedded systems have a dazzling array of requirements and constraints. Many problems such as radar and electronic warfare continue to consume enormous amounts of computing and I/O bandwidth – often much more than their space, weight, and power (SWaP) constraints will allow. Other problems such as situational awareness systems and mission computers have more modest computing requirements and can now be solved with a single multi-core processor using system-on-chip (SoC) technologies. This dichotomy has given rise to rugged box-level system products. Today’s small form factor rugged box-level systems are designed to be complete systems: pre-integrated and fully tested, thereby eliminating some of the more complex integration tasks for designers. Slot-card systems in general offer more flexibility and scalability where the designer can select the specific bus architecture, SBC, rugged card cage and necessary I/O boards to match the application’s requirements. The good news is that embedded suppliers today offer products of both types based on standardized open architecture components. These products provide longevity and scalability, enable interoperability and easier upgrades, which in turn eliminates the need to completely redesign a system to meet changing mission requirements. The challenge for the integrator is to know when to leverage the relative benefits of these two product design approaches. There are several benefits of going the slot-card route. First, and probably most significant, is scalability. Systems based on card slots and backplanes can range from a single slot computer to systems with 10, 20, or even more boards all connected by a backplane. Such scalability extends to the rest of the chassis in the form of power supply and cooling flexibility. In addition, modern chassis systems often offer chassis management, allowing the system designer to take advantage of build-in monitoring, control, and debug infrastructure for cooling, power, and even individual boards. Slot/chassis systems also offer a great deal of I/O flexibility in that individual boards can be easily added to meet system requirements. It also makes it possible to leave slots available for future expansion. Lastly, slot/chassis systems allow for flexible maintenance and technology insertion. Individual cards can be replaced or upgraded without touching the rest of the system. This is efficient from both a maintenance time and materials standpoint, and even introduces the possibility of field updates. The downside is that for smaller systems slot/chassis based systems are often less efficient SWaP-wise, more costly, and require more time for integration and troubleshooting than a pre-integrated platform might be. The system designer will also have to contend with making sure the system will meet certification requirements and that all components are specified and ruggedized for mil-aero operations. Standardized modules make this process easier. There is growing use of VPX boards for military slot card systems largely due to its dense, high bandwidth backplane interconnects, and inherent ruggedness. The near-universal acceptance of OpenVPX standardized module, slot, and backplane profiles makes it much easier for the integrator to make architectural design decisions. VPX is also popular for its support of 10 Gigabit Ethernet, which is widely being adopted in military systems. Increasing levels of computing performance will continue to be needed for military applications. Processors like the Intel Quad Core i7 and the Intel Xeon-D bring server-class performance to the battlefield to satisfy growing functionality expectations. For new sensor and image-based applications, VPX leverages High Performance Embedded Computing (HPEC) technologies to provide massive processing power for compute-intensive systems. HPEC VPX systems are able to meet immense throughput and processing requirements in space-constrained systems providing the performance to handle more than a teraflop of data. An example is Kontron’s 3U VPX blade VX3058, which features the highly integrated 8-core Intel® Xeon® D architecture that delivers breakthrough digital signal processing (DSP) performance. Providing high performance and bandwidth while being SWaP-C optimized, the VX3058 supports Dual 10 Gigabit Ethernet, high bandwidth PCI Express 3.0, and high speed DDR4 memory. It also offers versatile mezzanine options that support expanding XMC, multiple SATA ports for external storage, M.2 for onboard storage and graphics, and other standard I/O. Using the Intel Xeon Processor D, designers have the capabilities for advanced image processing, high bandwidth servers and other HPEC applications that depend on virtual machine architectures that can take advantage of the operational efficiencies provided by isolated workloads configured to dynamically share common resources. The Kontron VX3058 is 3U VPX blade based on the highly-integrated 8-core Intel® Xeon® D architecture. It leverages Kontron’s advanced switch technologies and VxFabric™ to deliver significantly higher I/O bandwidth. Features include support for Dual 10 Gigabit Ethernet, high-bandwidth PCI Express 3.0, and high-speed DDR4 memory. SWaP-C optimized, the VX3058 offers versatile mezzanine options for XMC, storage, graphics, M.2, and I/O. Many AdvancedTCA and MicroTCA SBCs in slot card designs are now being replaced with VPX as it is seen as being more rugged, more flexible due to its inherent 3U/6U compatibility, it’s standardized system management through VITA 46.11, and its overall standards-based profiles through OpenVPX. However, there is still continued use of VME and CompactPCI in systems that don’t have extensive backplane or I/O requirements. Suppliers continue to upgrade their VME and CompactPCI 3U and 6U offerings, and CompactPCI Serial is also a viable option if a program requires legacy IP and infrastructure expertise from one generation to the next. Modern microprocessors are very highly integrated SoCs. The consequence of this is that it is much easier for suppliers to develop products that are both full-featured and highly optimized for SWaP. COM Express® Computer-on-Modules (COMe COMs) make use of this to provide a compact, highly-standardized module form factor and connector definition designed specifically for small embedded systems. Its low power and versatility can be applied in enumerable systems allowing designers to develop and deploy smaller and less expensive systems than blade-based approaches could support. Its standard pin definition also supports the inevitable need for future upgrades in the same small space. COMe packaged in a rugged housing operates as a complete modular computer. As one of the smallest form factors available for military systems, it satisfies shrinking SWaP, system mobility and customizable I/O needs. By integrating mezzanine options, COMe expands its suitability in a broader range of applications without the need to significantly modify the original design. For example, Type 6 COMe supports general-purpose I/O such as USB, SATA, Serial Ports, Audio, Video, GPIO, etc. that are needed in advanced military applications such as surveillance for situational awareness. Some of the extra PCI Express lanes can be routed to serial based mezzanine card slots like mPCIe and XMC to create expansion options. Selecting a Type 7 COMe is a step up for designers to support higher performance streaming I/O needs by swapping out video and audio for 10 Gigabit Ethernet and more PCI Express ports. 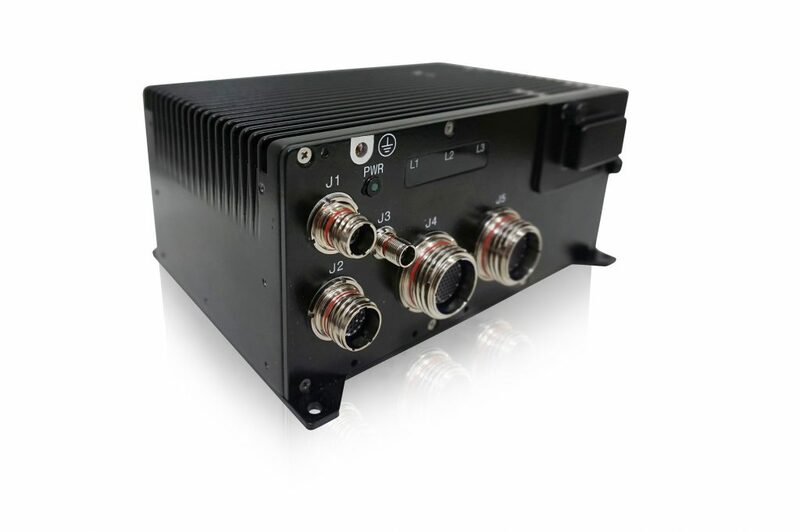 COMe modules deliver a critical small form factor design advantage for military applications. When combined with a specialized carrier board assembly, they offer developers a rugged basis from which to design customized, enclosed systems. Vendors are making use of the power of COMe to design deployable, environmentally qualified, easily extendable COTS mission computers. Matching much of the flexibility of slot card systems, these pre-qualified off-the-shelf COMe-based box systems form a trusted, pre-qualified starting point for quick customization via processor selection and mezzanine cards (XMC, mPCI, mSATA, M.2, etc. ), and provide the system integrator an attractive path to rapid system integration and deployment. Illustrated by Kontron’s COBALT system, this modular building block solution is designed for ease of integration and modification. COBALT offers scalable processor options that range from very low power Intel Atom processor-based implementation to powerful Intel Xeon systems. An example of this is the COBALT 901, which is based on the Intel® Dual-Core™ i5-4422E, 1.8 GHz processor that features Hyper-Threading technology that allows each CPU core to execute two threads at once. COBALT’s rugged carrier board provides mezzanine expansion options that include mPCIe and mSATA, XMC, PMC or customized I/O. It also features standard I/O such as USB2 and USB3, gigabit Ethernet, graphics, RS-232/422, and multiple discrete I/O. As an application-ready and MIL certified solution, COBALT’s design flexibility allows for modifications typically required in the defense market with a low risk to re-certification. Kontron’s COBALT™ system with a removable solid state drive (RSSD) bay option gives designers maximum flexibility to select and configure the right amount of storage capacity without modifying the system. Supporting up to two RSSDs via a front removable drive bay, COBALT eases the ability to upgrade to different storage devices and higher capacities ensuring existing systems are adaptable to evolving requirements. While the basics of an embedded computing system can be met by an off-the-shelf box-system, modern embedded electronics systems often require specialized functionality or interfaces beyond what is found in a typical embedded computer. Features common to these systems include increased storage capabilities with either fixed or removable solid state drives (RSSDs), wireless connectivity options such as Wi-Fi, WiMAX or a 3G/4G modem, standardized connectivity such as 1553, ARINC-429, or CANBs, high-performance sensor interfaces, or additional network port connections via an L2/L3 GbE switch. The value of box systems is in the ease by which these customizations can be made to meet mission requirements. The value to the integrator is improved time-to-deployment by being forced to build systems from the ground up each time the application’s requirements change. The challenge to both the vendor and the integrator is to choose the right combination of components and features on which to base a pre-integrated product and a deployed solution, while the inevitable trade-off is the loss of flexibility, scalability, and maintenance/upgradability that board-based systems provide. Every embedded computing approach must be evaluated individually in order to best match system requirements and time-to-deployment goals. Slot/chassis components and pre-integrated box-level solutions provide two complementary approaches to system design. The scalability and flexibility of the slot card systems is an ideal route for deploying large systems and provide a host of advantages for maintenance and upgradability, but often must take into consideration the typical hardware, software and application resources needed to design and build such a system. Rugged box-level COMe-based systems such as Kontron’s COBALT help reduce the size of engineering teams required to get defense systems deployed, but tend to be useful only for smaller systems and do not provide the upgradability and component-level maintenance of slot-based systems. The availability of these two design approaches means that defense system integrators now can choose the ideal tool for the problem they are trying to solve.